There’s a new time travel show on television these days - “Timeless”. (There’s also “Frequency”, but it’s based on the former movie, plus it doesn’t seem to air where I am in Canada. Ditto for “12 Monkeys”, come to think of it.) 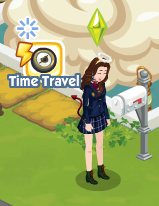 Since time travel IS one of my things though, I thought I’d offer up my thoughts on it. Here was their promo, it began airing the first Monday of October. In brief, without spoilers: "Timeless" has it’s problems, but I'd say it's worthwhile. It certainly pulled me in more than “Daybreak” did back in 2006 (where a detective relives the same day over and over), which was the last time I tried watching a temporal series. The main issue I have with it is that there are too many plot threads, all seemingly demanding attention... and so characterization suffers. Random side note before spoilers. The wikipedia page for the series currently says that Shawn Ryan and Eric Kripke (creators and show runners) drew inspiration from Quantum Leap, Back to the Future, and Voyagers!. The first two being staples of time travel for me, and the third source - being unknown. Something I might want to look into. That’s not really the side note. 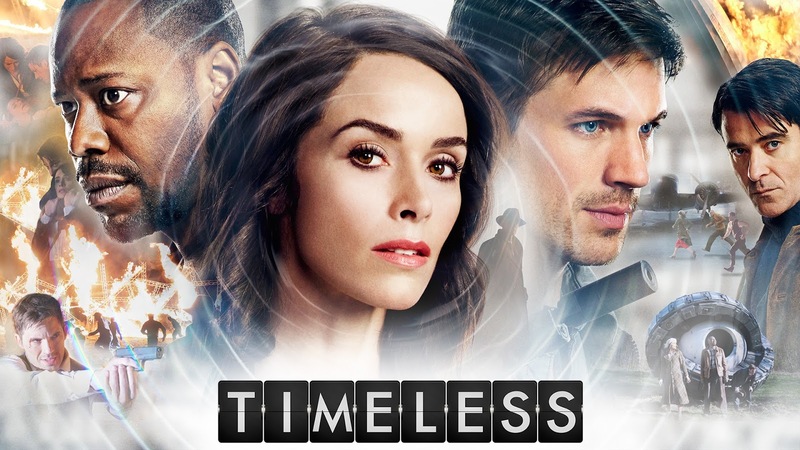 The note is that they are being SUED by “Onza Entertainment” for copyright infringement, claiming “Timeless” is based on the Spanish series “El Ministerio del Tiempo” (The Ministry of Time) for - I’m baffled here - the fact that it’s a three person time preservation team made up of two men and a woman. Really? I looked up the Spanish series. Their solider is from the 16th century, their woman is 19th century, and their third member from present day isn’t a black man who pilots them, but is instead a white paramedic. I’m not saying the Spanish series isn’t good or anything - I haven’t seen it, and certainly this reviewer speaks highly of it in that post there (from a year ago, it’s got a third season now). But copyright? The world seems to be getting too copyright happy. The pilot episode had to do a lot (setup premise, characters, conflict), and I felt it did that well. We jumped right into the time travel, the timeship looks pretty cool, the characters are likeable, and they gave shout-outs to time travel pitfalls with just enough awareness to satisfy me. (We can’t go back and try again, bad things happen if you exist at the same time as yourself - they didn’t get a complete pilot back the time they tried it.) Also, the main plot of using a backup time machine to go after the stolen one felt very clever. As I mentioned above, the main trouble I have is characterization. After the pilot, I expected them to put the brakes on a little. Lucy had just returned to a present family which was NOT the one she left. She has a new fiancé for goodness sakes! And yet... those ramifications were swept aside very quickly for the next trip. And more or less again in episode three. And four. We finally get something at five, but not with the fiancé. Granted, the eventual explanation for why things changed for Lucy was genius (at any rate, I sure didn’t see it coming) but her life still feels like it’s dangling out there like a loose thread. Why do we even have the cast return to their present lives if we’re not going to stay there for more than two minutes? If we’re not going to be able to use the time to learn more about these people? Heck, Lucy being motivated by her missing sister means more if we had more links to that relationship. The plot for Rufus, where someone higher up in the corporation wants recordings of what they’re doing, seems to be getting more screen time. Which is not a bad plot. I suppose that it could also be linked into Lucy’s plot, but there’s no indications of that. It would probably mean more if we knew more about Rufus’ family. Wyatt felt like the least developed initially. I couldn’t even remember his name until the third episode; granted I like the name “Lucy”, while “Rufus” makes me think of Bill & Ted, so they had an advantage there. (I’m not great with names in general.) Wyatt also had an early plot thread, in that his wife died... except the focus became more on his military experience (especially in episodes four and five). I’m not saying he’s a bad character, episode five did good things in particular. But back in episode three, Wyatt tries to send a message to save his wife, and that fails... why? Swept aside. (Fun tidbit that “Back to the Future” exists for them though.) So there’s all these little character plots, but I’m not terribly invested in them yet, because I don’t really have a sense of the characters’ lives that well! Also in episode three we start getting into plots for SECONDARY characters?! The “villain” of the piece has his own time pilot, and Rufus believes said pilot is working against his will, and yet it seems like that’s not the case. Meanwhile another minor character, one of the time technicians who Rufus seems to like, manages to work out a way of pinpointing where the stolen time ship is in the present. That would seem like a great opportunity to set a story IN the present, maybe deal more with the corporation or Lucy’s fiancé, but no, there’s a raid, and we’re gone again. Swept aside, swept aside, coming back to it later, maybe. You’ll also notice I’m putting “villain” in quotes - because he seems to have a diary that Lucy will write in the future. (Another plot!) So like all good villains he sees himself as the hero of the piece. Maybe he even is the hero. Or maybe Lucy’s diary is something she writes so that they can eventually catch him. Who knows? That feels like it should be a more central piece, but it’s only one cog in the wheel. Also, I forget the “villain”’s full name aside from “Flynn”. Slow down, there’s TOO MANY PLOTS. Which segues me into the actual time travel aspect. The writers and the creative staff do seem aware of their time periods. I feel like they oversimplify - but I suppose to a certain extent that’s necessary, so I can forgive it. Plus they ARE changing history as they go, so they’ve got an excuse there. (Granted, they start each episode with the original history.) Though the changes being registered are somehow refreshing too, as long with the fact that the protagonists don’t always win. In addition, the show does interest me in what aspects of the past really ARE true, so mission accomplished in terms of drawing me towards history. (Funny enough, history’s not my thing, despite my interest in time travel.) I was also worried that the show would be very American centred, rah rah, that sort of thing - but they went to Nazi Germany too, in the fourth episode, so that was a pleasant diversion. I feel like the actual temporal elements are the show’s strength. And that’s what’s got me hooked, more than the human element. (But I’m only one person, here’s a reviewer who thinks a bit different.) At this point, I’m not sure how sustainable that focus is. Last week I watched the premiere of “Canada’s Worst Driver” instead of “Timeless”, but I did catch up online. And returned this week. To reiterate, it has it’s problems, but it seems worthwhile. I’m still watching for now. Are you? If so, are you seeing things that I’m not? If not, does my summary interest you? Either way, what do you think about my take overall? 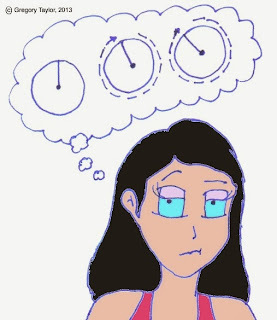 Oh, and if you’re interested in time travel, maybe check out my web serial “Time & Tied”, about a teenage girl with a temporal destiny. It’s got a slowly pace but with what I hope are interesting characters. Thanks for reading here, at the least! Interesting in that the villain wins, and history is rewritten is some way, although the agency is still there to return to. Why these particular events and what is hoped for? Who knows. It seems almost silly if they don't hit some kind of reset switch at the end -- otherwise, they'll have multiple histories to remember. And Lucy's sister seems to be a point indicating some kind of reset. Also of note Flynn was not happy that the women and children were to be executed. On the other hand, for someone so resourceful, he gave in easily. I suppose if the agency vanished, that would indicate more broad based changes - and is likely something for the climax. And now that you say it, I suspect you're right about the reset given the sister (likely accomplished with the diary) though I don't know that they'd have multiple histories... they never seem to stay in the present long enough to register them. There would only be our "true" history and whatever history they decide to have going forwards (if they're renewed). As to ep 5, I guess that's another point - that incident goes to Flynn's character. Which we don't see much of either. Which would be fine if we'd had more out of the main three, but for me he's simply in the pot with the rest of them. Thanks for the thoughts (and tweets about 'Voyagers')!